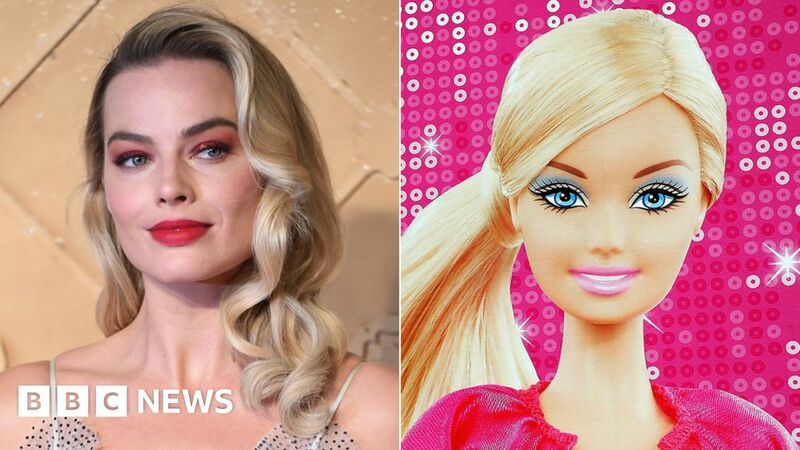 Margot Robbie is to play iconic doll Barbie in a live-action film. The star of Suicide Squad, I, Tonya and Mary Queen of Scots will also produce the movie through her production company, LuckyChap Entertainment. In a statement, Robbie said playing with the doll promoted “confidence, curiosity and communication”. “I’m so honoured to take on this role that I believe will have a tremendously positive impact on children,” the Australian actress continued. Robbie, 28, said she could not have imagine “better partners” than Warner Bros and Barbie creator Mattel. The film, which has yet to have a title, a director or a release date, marks the first collaboration between the two US companies. “Margot is the ideal producer and actress to bring Barbie to life on screen in a fresh and relevant way for today’s audiences.” said Toby Emmerich of Warner Bros.
Comedian Amy Schumer had previously been cast to play the doll, only to drop out of the project in 2017. In October, it was reported that the film, previously a Sony production, would use a “revised” script by Ocean’s 8 writer Olivia Milch.